This entry was posted on April 7, 2013 by Christopher Martin. 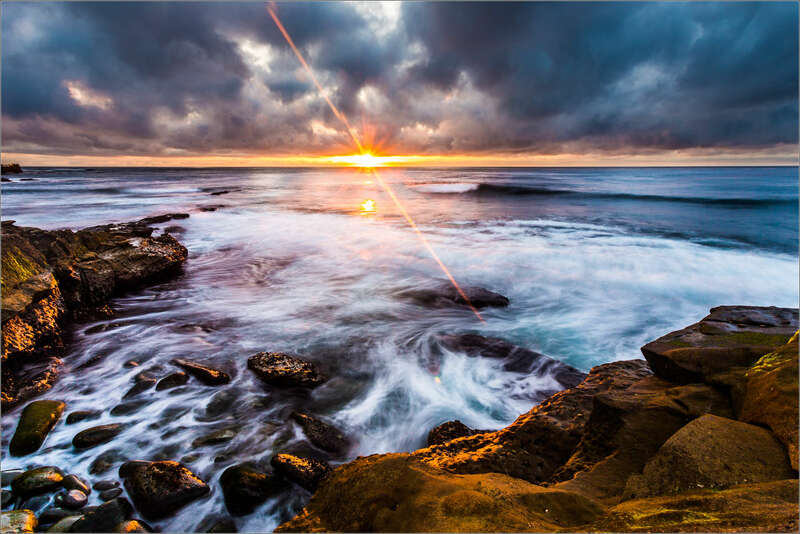 It was filed under Nature and was tagged with California, coastline, evening, La Jolla, landscape photography, Pacific Ocean, rocky shoreline, sunset, USA. Nice shot Christopher. I like the starburst pattern of the setting sun. La Jolla is one of my favorite places to photography. This image is spectacular! The foreground warmth of the rocks against the swirling ocean and the ray of sunlight all come together as a feast for the eyes. Wonderful work. Thank you for your kind words Jane. Waiting for the minute or so of sunlight was worthwhile – it produced a wonderful scene. I’m glad you enjoyed my interpretation.